This document explains how to install and use Toonloop 1.x and 2.x for Ubuntu GNU/Linux. A user has written a French version of this how-to. You can find it here: en français sur artdoeuvre.org. 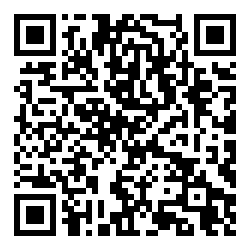 For a Chinese version, friends from OpenLab Taipei have translated it and you can find it here: 中文. Warning: Some features of Toonloop have been deprecated in the 2.x version. They should be no longer listed here. Toonloop Full is supported by either Ubuntu or Debian GNU/Linux operating system. You should get one up and running prior to do the next steps. See the Ubuntu installation documentation to learn how to install Ubuntu on your computer. There are two packages you need to install. First install Pygame 1.9, next install Toonloop. See the Download page to get the latest release. Once you have successfully downloaded the packages, simply double-click the files and the GDebi package installer should ask you if you want to install it. Make sure you install Pygame before Toonloop. Once the software is installed, there should be a Toonloop icon in the Applications : Sound & Video menu. Choose that application from that menu. It will launch Toonloop. Launching Toonloop from the Applications menu. Toonloop uses the first video camera it finds. Toonloop currently only supports cameras whose driver supports the Video4Linux2 API. To use Toonloop, there should a file called "/dev/video0" on your computer. If you see an image from a video camera input in the Toonloop window, it means it worked. Otherwise, Toonloop should display an error message. If it is the case, you should start Toonloop from the terminal in order to be able to read some more informations about the reasons it crashed. See the section "Starting Toonloop from the Terminal" in the Advanced How-to for more informations about this. 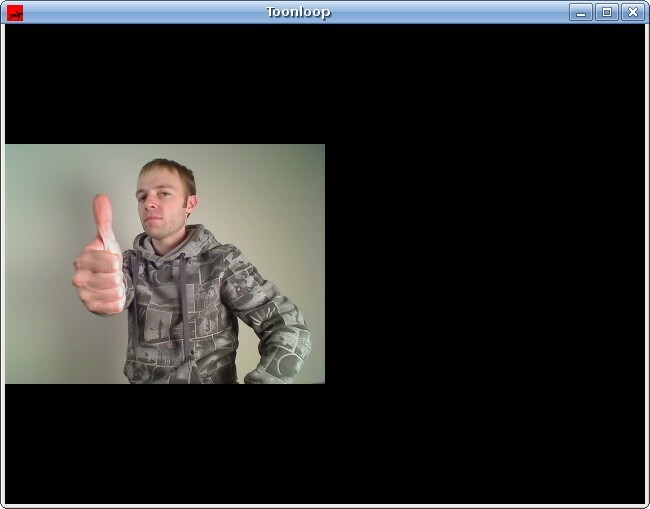 Once Toonloop is running, you should see a black window with the live video input image on the left. Congratulations ! In the left window, you can see what is seen by the live camera. In the right window, it is the result of the stop motion loop. An empty clip in the Toonloop window. If you have more than one video camera and want to use a different one than the one Toonloop has chosen, you need to specify Toonloop options at startup. See the "Custom Options" section. Logitech C500: cheap, works OK.
Logitech Quickcam 9000 Pro: expensive, but provides more pixels and a pretty good image quality. Pinnacle Dazzle: This is a cheap analog video capture USB device. With a good camera, can give a very good image quality with manual controls, though interlaced. If you are using an analog video capture card, and not a USB Web cam, you might be interested in selecting a different video input. You can use the v4l2-ctl command-line utility that comes with the ivtv-utils package for that task. Step5 : Use it ! Press the space bar to add a frame. You can also press on the left button of the mouse. Press on the Backspace key. You can also use the right mouse button. Press Control-S to save the current clip to you hard drive. It is saved in the Documents/toonloop/default folder in your home directory. Toonloop is an interactive software. While it runs, or can control it using keyboard keys. 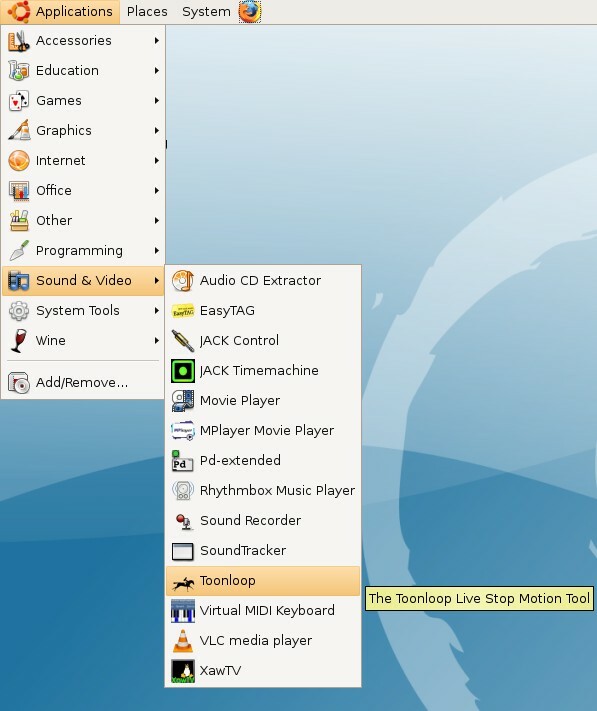 Here is a list of keystrokes to control Toonloop. Press the SPACE bar to grab a frame. Press DELETE or BACKSPACE to delete the last frame. Press Control-s to save the current sequence as a Motion-JPEG movie. Press UP to increase frame rate. Press DOWN to decrease frame rate. Press f or Escape to toggle fullscreen mode. Press period (.) to change the graphical theme. Press Tab to change the playback direction. Press a number from 0 to 9 to switch to a different clip number. There are many ways you can setup your video camera to create nice looking animations. The general idea is to have a stand, and at least two light sources. A background light source, such as a light box, can be interesting as well to create transparency effects. A good general purpose stand to recommend is the Manfrotto Magic Arm. 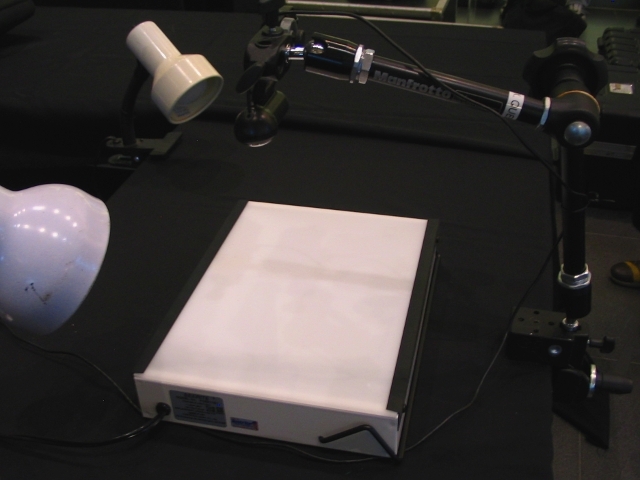 This model can be snapped on a table, and can be moved freely to suit the setup you need. It can make your camera look down. You might also consider using cables ties ("tie wraps") to keep you camera on the stand, if it does not have a 1/4 inch screw hole. See the advanced how-to to learn more about how to customize Toonloop.